Right. So this is nothing new. If you think that strategic pricing is as simple as immediately pricing every item in your store $99.99 or anything else ending in $0.99, you’re partially right. However, more techniques exist than just slapping a price tag that ends in $0.99 on everything in your store —and there are lots of marketing studies that prove it. To boot, customers really do favor odd pricing over whole number pricing. Here’s another interesting phenomenon: prestige pricing strategy. This is a pricing strategy that sets prices of luxury products to the expectations of a niche class of customers who associate higher prices with superior quality. These customers are willing to pay the higher prices because of the perceived social benefits they’ll automatically receive by owning the product. 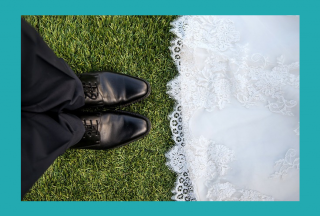 Wedding businesses can—and should—totally capitalize on this higher-end strategy. 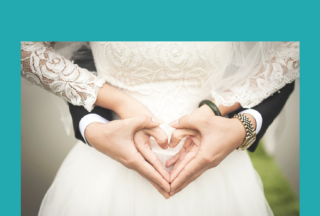 Only a limited number of individuals can afford certain wedding items, which adds to the wedding items’ exclusivity and appeals to these customers. Those with expensive wedding products, take note. You’ll see this all the time with cereals, soaps, lotions, smaller products, etc. Maybe you even do this in your wedding shop with smaller items such as jewelry, garters, whatever! In fact, if you went around and did a street survey and asked whether someone would rather buy an item half off or buy one, get one free, it’s possible they’ll ask for free every time. How does it work to highlight competitors’ higher pricing with your own? It might be risky, according to a study done and reported in the Stanford Graduate School of Business. Check it out. And what about your competitors’ pricing? If your pricing is higher than your competitors’, you’re going to have to be able to convey the added value that comes at this price. Maybe you have better alteration options if you’re a wedding dress shop. Maybe you offer more personalized service. Maybe your customer service is spectacular. Whatever it is, make sure they get that. Or, there’s always the old stand-by: Cross out your old price and show the new price in bigger, bolder fonts. Font, size, color—it all works! Again, your customers will believer you’re doing them a huge favor in return and that you truly do care about their wallets. Also, it’s important to understand your customer, your competition, the market and your region. Pricing psychology campaigns will be completely different in Cheyenne, Wyoming compared to New York, New York. Try some different pricing strategies (and do your research), and above all else, keep track of what works and what doesn’t. You might be pleasantly surprised! Melissa is a Midwesterner with a penchant for travel (the further away, the better!) and personal finance. Previously, she worked as a writer/editor for a gardening magazine and has done lots of writing and editing for publications. Now, she works in the admission office of her alma mater, Central College in Iowa. She has special interests in reading about finance and politics, and together with her husband, spends most of her time chasing after their two small kiddos. Pricing for Profit: Are You Charging Too Much or Too Little? 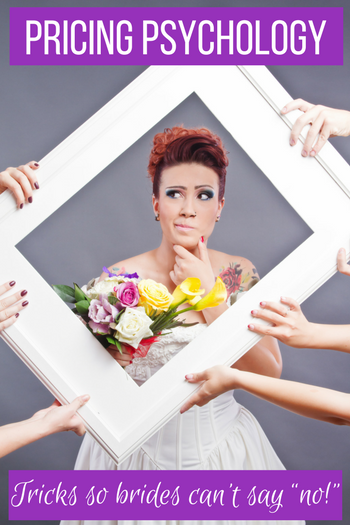 Should Wedding Planners List Pricing on Their Websites?